Throughout decades of varying décor styles and lighting trends, Farrey’s Lighting + Bath has remained at the forefront of haute home décor. This dynamic family company combines commitment and purpose, pride and vision to provide clients with the best light fixtures, bath, kitchen and home décor products on the market, as well as cutting-edge technologies and affordable lighting options. 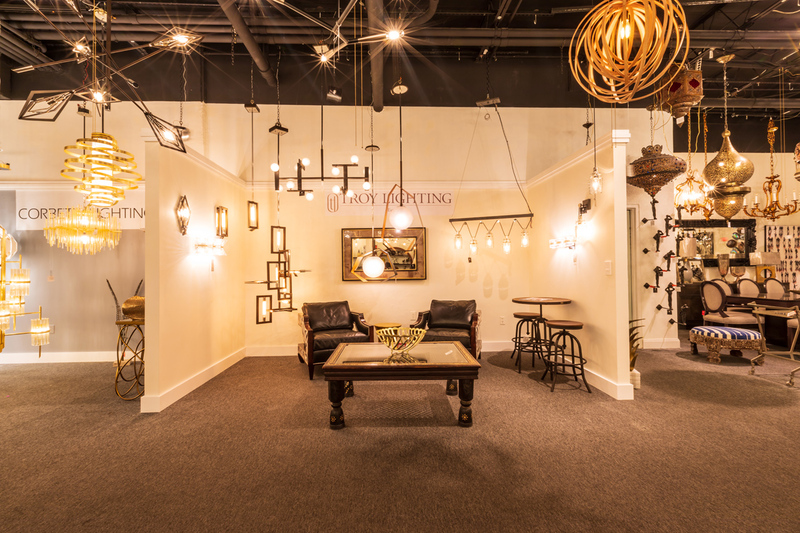 Whether you are looking for lighting for your dining room, a new vanity for your master bath or an upgrade on the hardware for your kitchen cabinets, Farrey’s is South Florida’s leading lighting, kitchen and bath resource. This fourth generation company is renowned for their elevated attention to design and timeless detail for inspired spaces; as well as their extensive $10 million inventory of contemporary, traditional and transitional products for every room in the home. “Farrey’s boasts the largest selection in South Florida, with over 300 new items introduced into the showroom per year,” says Paige Farrey. The result is two glamorous showrooms filled with a unique product mix that combines high style and quality with affordability and value. Farrey’s is true one-stop shopping for lighting, bath, hardware, furniture and accessories. “The staff are trained Application Experts who assist clients with making the ‘right’ choices by asking the appropriate questions and solving problems rather than simply selling products,” says Farrey. In-stock products can be delivered the same or next day or they can warehouse orders to consolidate free delivery (some exclusions apply to “free”) via their own fleet of trucks, which make Saturday deliveries. Both locations are open Monday through Saturday with 24-hour sales consultants and showroom appointments available. Ultimately, it’s all about customer satisfaction. 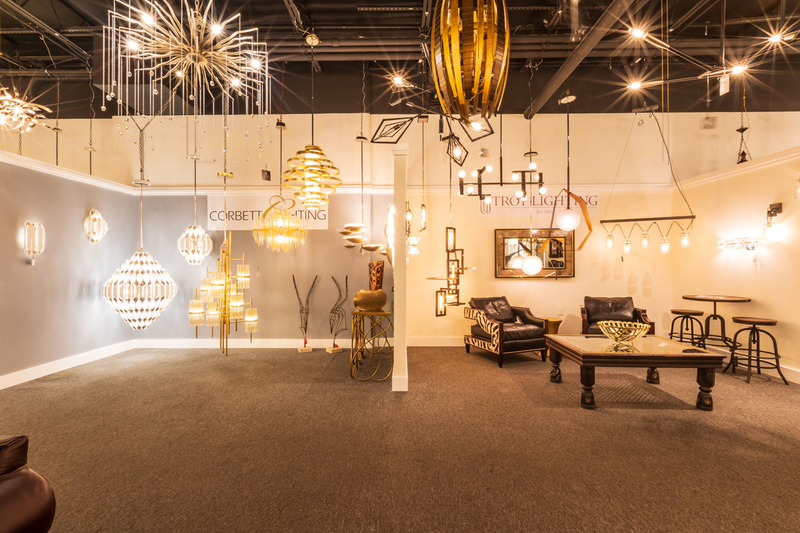 Their lighting brands are a who’s who of top names including Luceplan, Fine Art Lamps and the Hudson Valley Lighting Group — Corbett, Hudson Valley, Troy and Mitzi lighting, to name a just a few of the vast assortment of manufacturers. 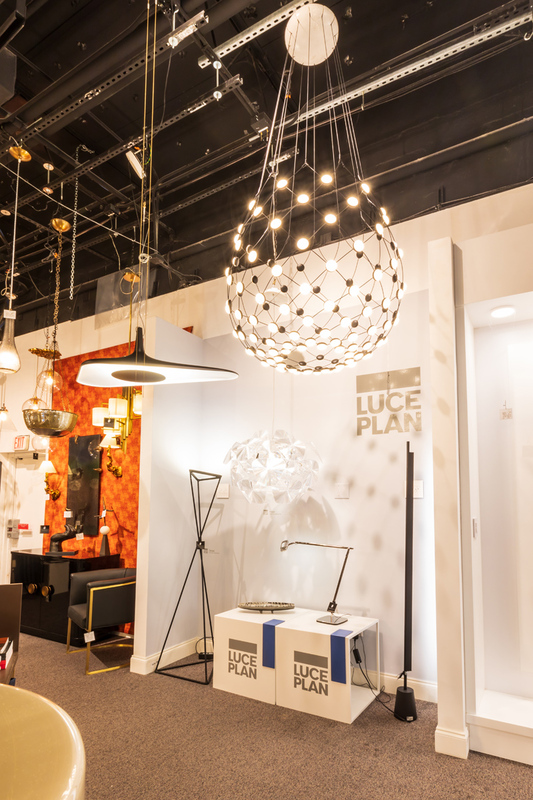 Fans of modern design will gravitate toward Luceplan’s design culture of aesthetic and technological research, experimentation and innovation and creative spirit that is never separated from top functional quality and efficiency. Since its founding in 1978, the award-winning company avoids any sense of formalism, instead focusing on offering technologically evolved lighting fixtures for flexible use for sincerely cutting-edge design. What’s more, the Hudson Valley lighting group brands share a pursuit of excellence in a design-driven culture, attention to ever-changing environmental considerations and commitment to the highest possible quality. Their Corbett Lighting features striking designs, rich materials and hand-applied finishes, all of which are Corbett’s hallmarks, creating fixtures that are the center of attention in any space they adorn. Troy Lighting’s eclectic line of fixtures are at once sophisticated, casual and eye-catching, drawing from a vast range of influences while using intriguing and versatile materials. Hudson Valley Lighting spans a diverse range of styles and pieces are at once historically informed and ahead of trend. In addition, Mitzi Lighting was inspired by the founder of Hudson Valley Lighting’s grandmother, a painter and master antique-finder. It mixes classic with contemporary, sacrificing no quality along the way. Designed with thoughtful simplicity, each fixture embodies form and function in perfect harmony. Combining less clutter with more creativity, Mitzi is attainable high design. Style leader Graff is an avant-garde manufacturer of exciting, trend-setting bathroom and kitchen fixtures. 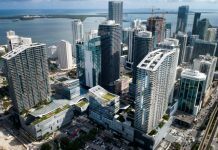 They have built their reputation as an interpreter and protagonist of modern lifestyle, bringing creativity and inspiration into many homes, and as a company, being keenly aware of human and environmental issues and values. 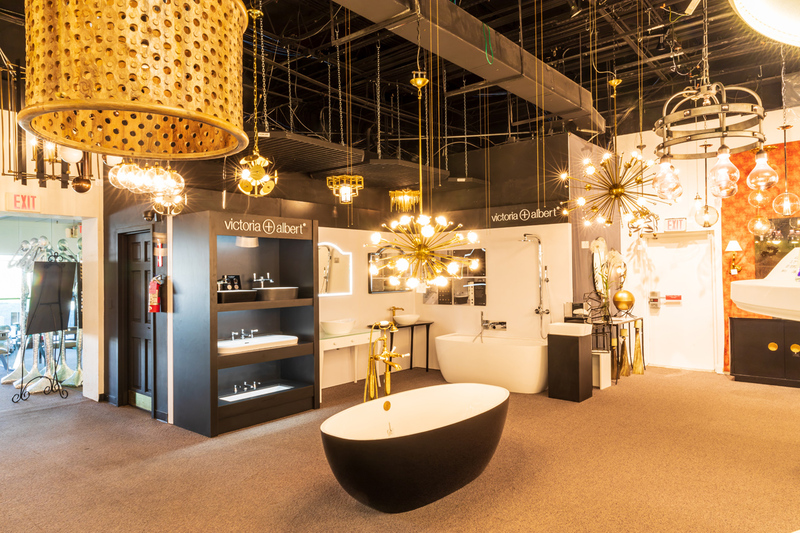 Supported since 1922 by extensive plumbing and hardware manufacturing experience, Graff has positioned itself at the forefront of design by creating designer-based collections for the luxury market. The company employs over 1,000 dedicated professionals and has total control over the full production process, making it a truly vertically integrated manufacturer. All of the aforementioned is just a quick peek at the inspired design and superior living in the form of beautiful lighting, decorative bath and hardware, furniture and accessories available at Farrey’s Lighting + Bath’s two elegant South Florida showrooms: Coconut Grove: 3000 SW 28th Lane, 305.445.2244; North Miami: 1850 NE 146th St., 305.947.5451; Farreys.com.